Testament de Domithilde Ouimet 15 jours avant son décès. 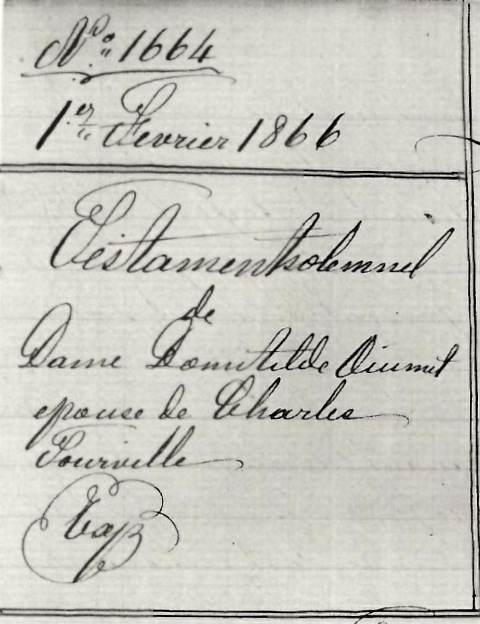 Will of Domithilde Ouimet 15 days before her death (in French). She leaves her clothing to her daughters and she leaves everything else she owns to her husband Charles Huboux dit Tourville, shoemaker and merchant.